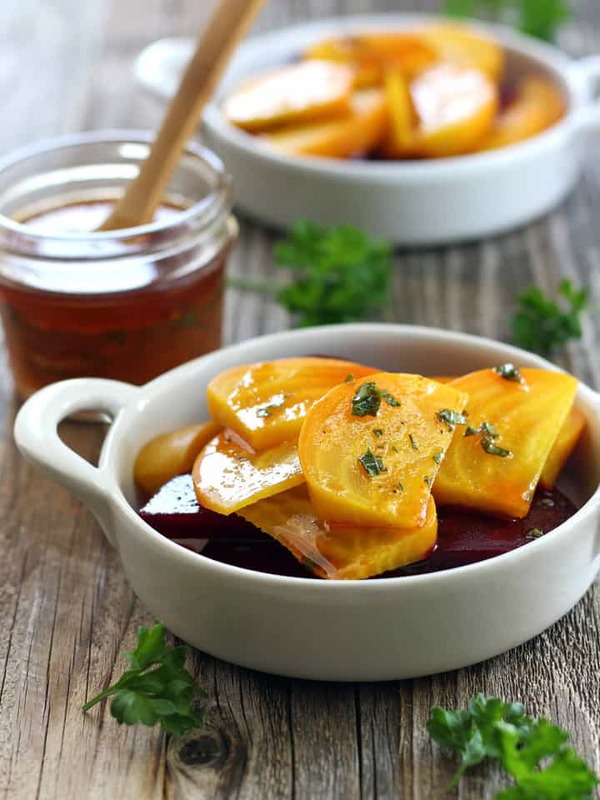 Roasted beets are full of sweet earthy flavor, loaded with vitamins and the perfect addition to any healthy dish. 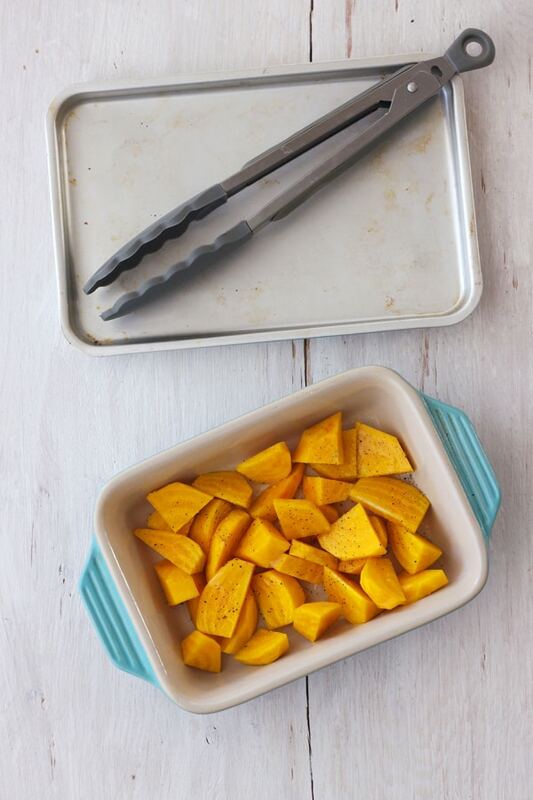 Whether you’re cooking red or yellow beets, you can keep the kitchen cool and use your little toaster oven. 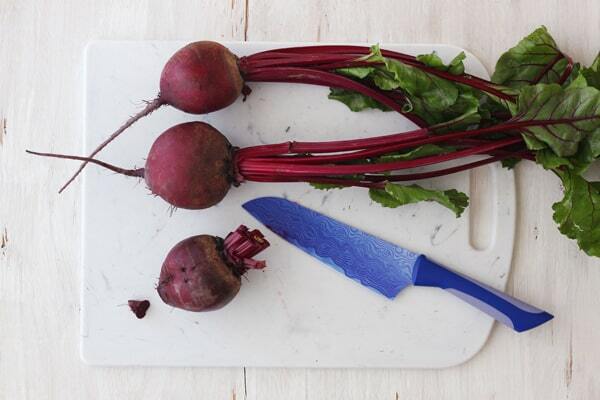 Below we’re sharing our step-by-step directions for roasting sliced or whole beets in a toaster oven. For the longest time, I always thought beets only came canned or pickled. Then I tasted a FRESH ROASTED beet. Each bite was full of earthy flavor, meaty texture, and a light sweetness. After making this Roasted Beet And Cottage Cheese Toast for my husband he fell in love with beets too and now they are a regular staple in our house. Below you’ll find step by step directions for how we cook whole roasted and sliced beets in the toaster oven. The quickest way to roast beets is to peel, slice, and roast them. This method is great for the yellow or golden beets as they don’t bleed when you peel them like the red ones do. You might want to consider wearing disposable gloves if you’re working with red beets. 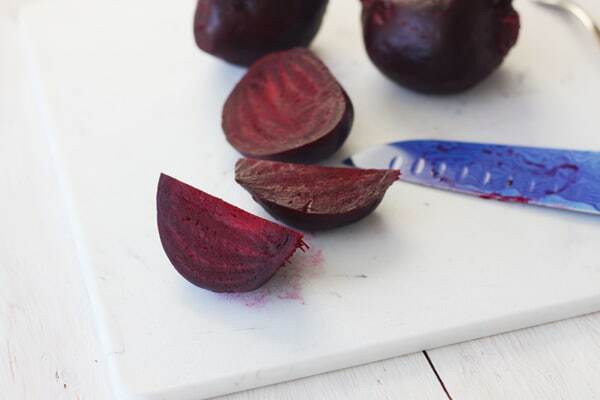 Wash and peel the beets, then slice them into 1/2-inch thick pieces. Place in a well-oiled toaster oven-safe baking dish or pan and drizzle with oil. Then roast at 400°F until the beets are fork tender, about 25 to 30 minutes. Toaster Oven Tip: Cover your pan. 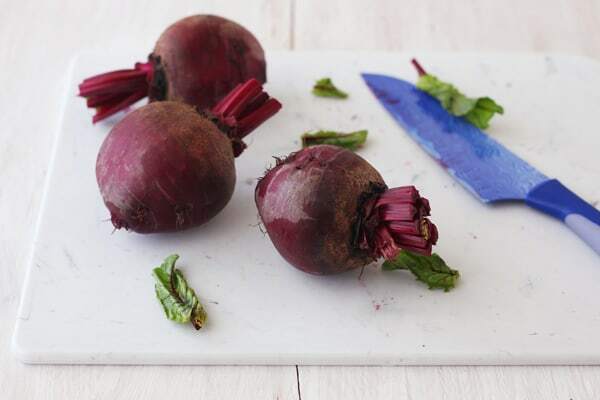 Cut beets release juices as they roast that can end up baked onto the interior of your toaster oven making it harder to clean. If you want to use foil to cover your pan, refer to your manual or check with the manufacturer. For convenience, we just cover our baking dish with our toaster oven’s cooking pan. When roasting whole beets, try to pick beetroots that are similar in size. Just like with baking potatoes, roasting cauliflower, carrots, Brussels sprouts, and asparagus spears produce that’s the same size cooks more evenly. Move the rack in your toaster oven to the lowest position and preheat to 400°F. If your beets still have their greens you’ll want to remove them. Chop off the leaves but keep a small amount of the stem on each beet to use as a handle later. Then wash, scrub and dry the beets. I used to cut the tail off the beets but I don’t anymore as it causes the beets to lose their juices and as you’ll see later, makes things messier too. So do as I say (not as pictured) and leave the tails on! Also, don’t throw away the greens they are quite tasty in a salad or sauteed with olive oil and garlic. In an effort to move away from using foil we’ve started cooking our beets in a small dutch oven. 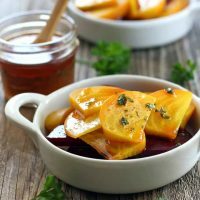 If you’re using a dutch oven or covered casserole add a little oil to the bottom of the pot before adding your beets, then drizzle the beets with oil and rub the oil on the outside of each beet. *Most manufacturers have specific instructions for the use of foil in their toaster ovens. Make sure to consult your manual before using foil in your toaster oven. 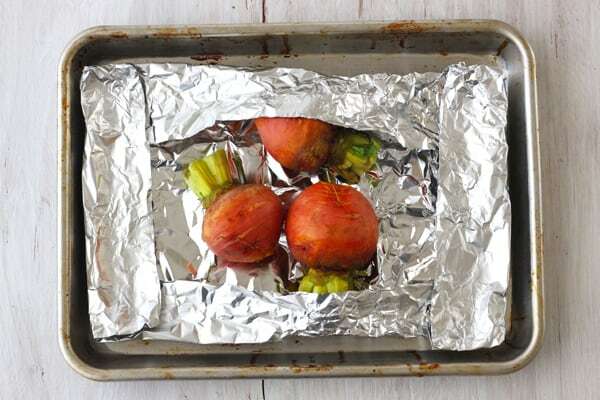 To roast whole beets in foil, cut a piece of foil that’s slightly larger than your toaster oven’s baking sheet. Place the beets on the foil and drizzle with oil, then sprinkle with salt and pepper. Next wrap the foil edges over the beets into a package and pinch the seams closed. 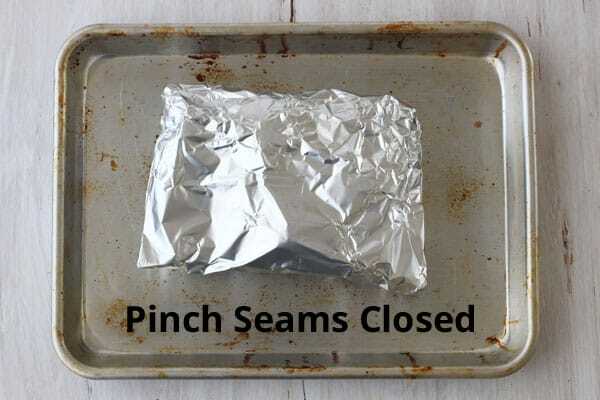 A lot of recipes will tell you to leave a tiny space open in the foil packet for venting. I did that the first time I ever made roasted beets. After spending time cleaning splattered beet juice off the inside of my toaster oven I pinch my seams closed! Just be careful and allow the steam to slowly escape when opening the foil packet to check for doneness. TOASTER OVEN SAFETY: When placing the beets in your toaster oven make sure the foil packet is not touching the sides or the top heating elements. Placing anything near the heating rods in a toaster oven can cause a fire. Roast beets at 400°F until fork tender, about 40 to 60 minutes. The length of time will depend on the size of the beets – the ones pictured below are pretty large and took a little over an hour. Allow the beets to sit until they are cool enough to handle, then you can peel them. 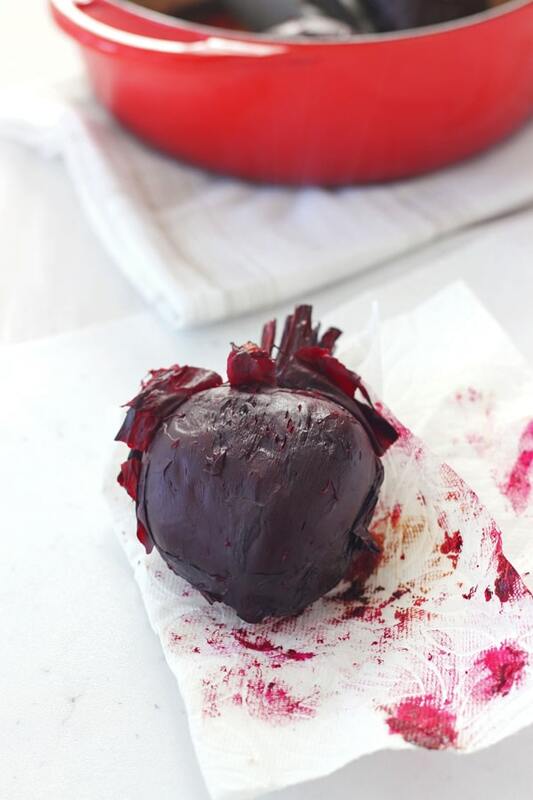 Grab a cooked beet by its stem handle and using a paper towel gently rub the skin off. Slice beets and enjoy plain, with a splash of balsamic vinegar or drizzle of Sriracha Vinaigrette. Leftover beets can be stored in the refrigerator in a covered container or wrapped tightly in foil for up to 5 days. Don't want to heat up your kitchen? 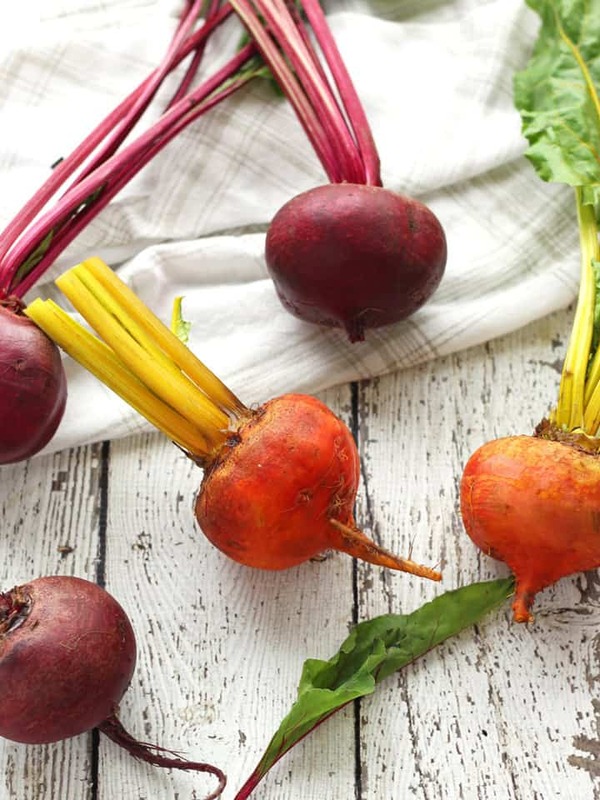 Use your toaster oven to roast up a batch of earthy sweet beets today! Adjust the rack to the lowest position and preheat your toaster oven to 400°F. Lightly oil a small baking dish. Wash and scrub dirt from beets, then dry well. Peel beets and cut into 1/2-inch thick slices. 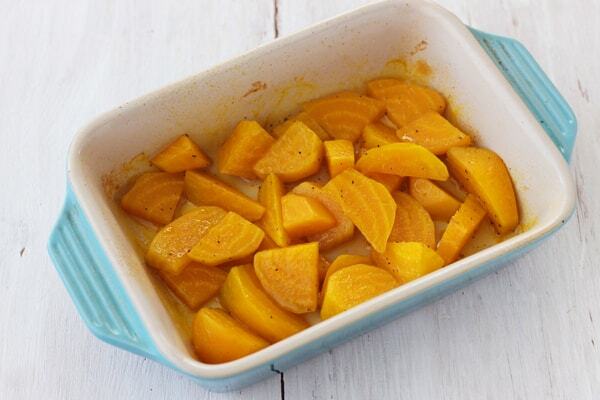 Add beets to the baking dish and drizzle with oil. Season with salt and pepper and stir to coat. Cover pan. Roast beets until they are fork tender, about 25 to 30 minutes. Move the rack to the lowest position and preheat your toaster oven to 400°F. Lightly oil a covered baking dish. Trim stems from beets, leaving a small amount to use as a handle. Wash and scrub dirt from beets, then dry well. Pour a little oil into your baking dish to coat the bottom. Add beets to dish and drizzle with oil. Rub the oil on the outside of each beet, then sprinkle with salt and pepper. Roast beets until fork tender, about 40 to 60 minutes. The length of time will depend on the size of your beets. Allow beets to cool until safe to handle and then peel. Beets can be stored refrigerated in a covered container for up to 5 days.